Site service & management | Get Your Business to Work! Get Your Business to Work! Fill The Seats Or Go Broke! 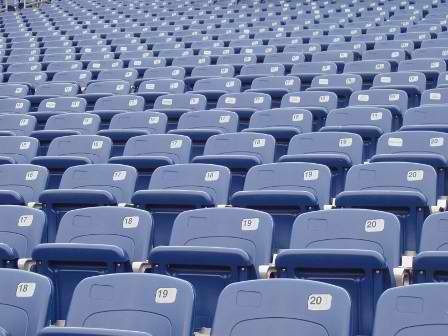 If you were the owner of a NFL football team, your number one goal would be to fill all the seats every week. To fill seats takes a multiple approach. You must put a winning product on the field and you must sell seats. Seats don’t sell themselves. It takes a huge effort to create sellouts at profitable ticket prices. Over the last ten years, you didn’t have to sell very hard to keep profitable revenue flowing into your company’s coffers. If you put a mediocre team on the field, called the usual plays, and used an average business strategy, your customers would keep coming back for more, if your price was somewhat competitive. And because business was plentiful, you didn’t have to try to win over many new customers. You stayed focused on doing the same type of work for the same type of customers and your business grew. Because there was enough work, you also didn’t have to try different types of projects, customers, or contract delivery methods. In fact, you even prided yourself as a specialist in a very focused type of business niche. Fast forward. Today it is hard to fill the seats, revenue is scarce, and customers are hard to find. Having a winning team doesn’t matter if they can’t find a game to play in. You’ve cut your overhead and reduced your expenses as low as you can to survive. You continue to bid more and more work against too many competitors at lower and lower prices. Now you are even calling on new and potential customers you really never wanted to work for. You’re trying to get on any bid list you can including public works, which you always avoided because of the paperwork and prevailing wage issues. You’ve assigned your office manager or estimator to cold-calling and emailing any lead they can find in hopes of a miracle. Nothing is working and getting new business at a reasonable price is next to impossible. Now what? You’re thinking you’ve got to fill the seats with paying customers or go broke. If the sudden slowdown in the economy taught everyone one thing: ‘Putting all your eggs in one basket won’t work forever.’ Many contractors and business owners focused their efforts on doing only one kind of project and service for one type of customer. For example, to keep revenue and jobs flowing in, many focused on only building housing tracts, or shopping centers, or industrial parks, or custom homes, or office building interiors. Some focused on building for general contractors, developers, or home builders. Some expanded and did more than one type of project. But, most didn’t crossover into totally different or diverse types of work. And offering a service component to their revenue stream wasn’t even considered as they were too busy to mess with little jobs. Multiple streams of income sells more seats! Bug ‘Em Til They Buy Or Die! Sales Is A Numbers Game! 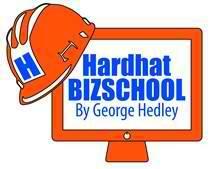 Hardhat BIZSCHOOL Update Our new online university is about to launch. Look for the first 2 courses available hopefully in a couple of weeks. (I told you that last month but you know how long it takes for techies to get things done!) The first 2 courses are “Get Your BIZ To Work!” and “9 Numbers Every Contractor Needs To Know!” Both courses are comprised of 5 one hour classes and a detailed workbook. We will send you the registration details and a discount code as soon as it is ready! Construction Business Owner BIZ-GROUP Update!